Marcus Low: This Masterchef Asia S1 Runner-up Is a Baking Whiz! 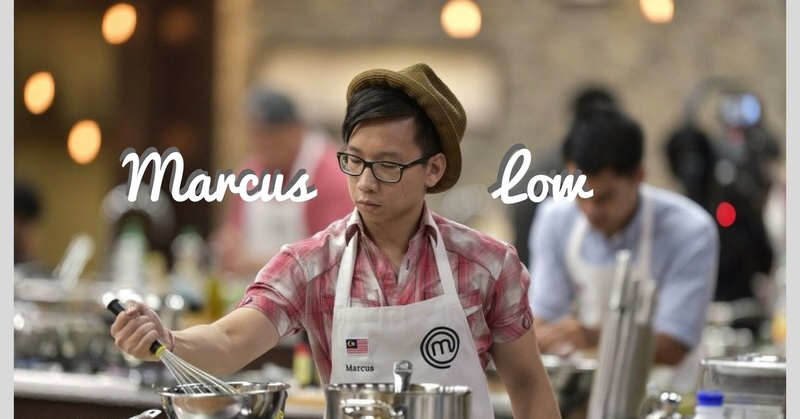 From Masterchef Asia S1 runner-up to being the founder of his own dessert cafe, meet Marcus Low! Hello Marcus! Tell our readers more about yourself! Hello! I am 26 the owner and chef of Mad Hatter Desserts. I used to be a banker and also the Runner up from a TV cooking competition called MasterChef Asia. You were a contestant on Masterchef Asia S1! Tell us more about your experience as a chef in a reality TV show. The experience from MasterChef Asia was interesting because before this I was always cooking under the my own roof and without cameras looking at every single move I made. It was an eye opening experience also to how much effort, time and preparation it takes to make a cooking TV show. I truly admire the staff and producers and directors for their effort. Tell us your journey as a chef! When did you first discover your passion for cooking? I’ve always loved food and then it came to a point I wanted to know more about the food the preparation and the nutritional benefits. From a young age, I was nurtured by my mum who makes great food to truly enjoy cooking. What really started the journey was the moment that I tried my first plate of proper Italian pasta that wasn’t bottled sauce. It was a simple Carbonara but I desperately needed to know what was the ingredient. This was before internet was a thing so I tried many ways of making it with whatever knowledge I had and this process of making the dish struck a chord with me and the passion began. Local produce driven and also unorthodox. I like creating dishes that on paper seems weird and to a certain extend unacceptable but when it comes to the table it is eye opening and a revelation. You recently started up a dessert shop called Mad Hatter – tell us the inspiration behind the dessert café! Any bestsellers that you recommend? The inspiration for Mad Hatter Desserts was to emulate my mentor in desserts from a place called Luxbite in Melbourne from a Malaysian chef, Bernard Chu. I’ve always enjoyed making desserts also because a great dessert can put a smile on anyone. The best seller that I would recommend is to have the Chocolate & Calamansi Cake which is the very first cake I made as a budding cook. The Bubur Cha Cha which I made in MasterChef Asia to pay homage to my mum’s cooking is also on the menu and is a crowd favourite! Who are your favourite chefs that you look up to? Any local favourites? I look up to everyone in the F&B industry. Coming from a banking industry to see the chefs pour their heart and soul into the industry is really inspiring. I would have to give special mention to Chef Darren from Dewakan as he paves the way for Malaysian cuisine and inspires me a lot! I used to do magic tricks for a part time job. I also love playing football and love playing DOTA and Monster Hunter on my free time. I still collect Pokemon cards and would gladly show you! Do share some advice to budding chefs out there! My advice is to never stop learning. Knowledge is a powerful tool and you can never gain enough. Together with this, I would also say to learn from mistakes. Failure is a blessing in disguise as it provides a lesson that improves us day by day. Other than baking, what is a typical day in your life? Eating, spending time with my amazing team and catching up on the daily news! This is a bit controversial because failure can be seen as being a loser. However before one can be successful we need to fail and then do we learn to push the boundaries and learn how far we can go! Food that is made with heart and soul. Sometimes in these day an age it is so easy for anyone to be a food critic. Food is never perfect but you can taste when a dish has someone heart and soul and ideas poured into it and its beauty speaks for itself. I see myself expanding the business into newer pastries like croissants, and having a plated dessert establishment that is recognized in Asia.